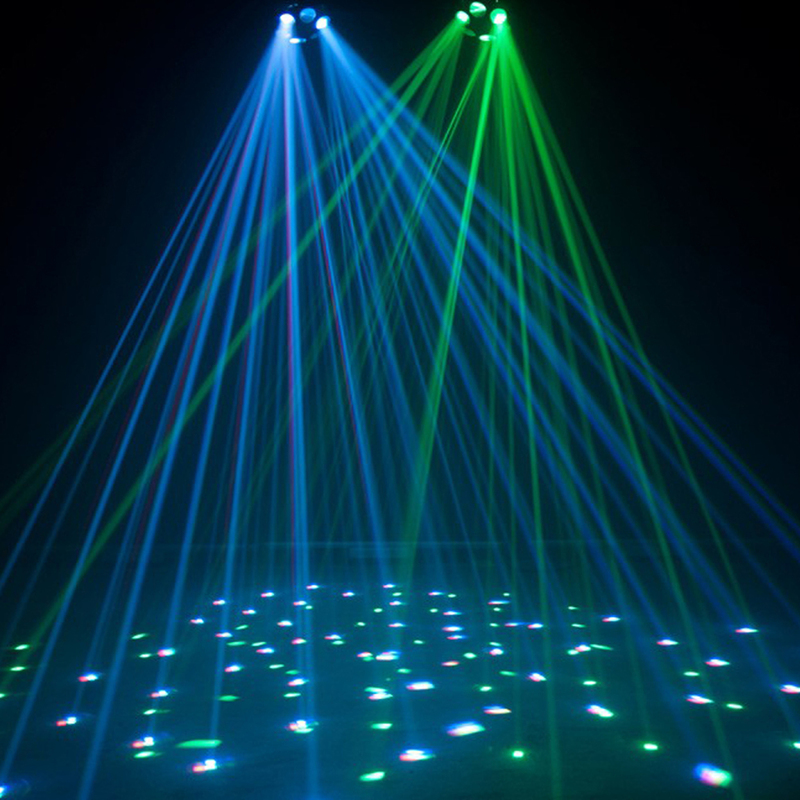 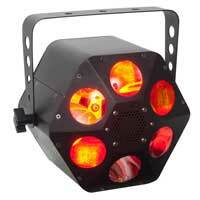 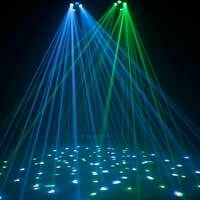 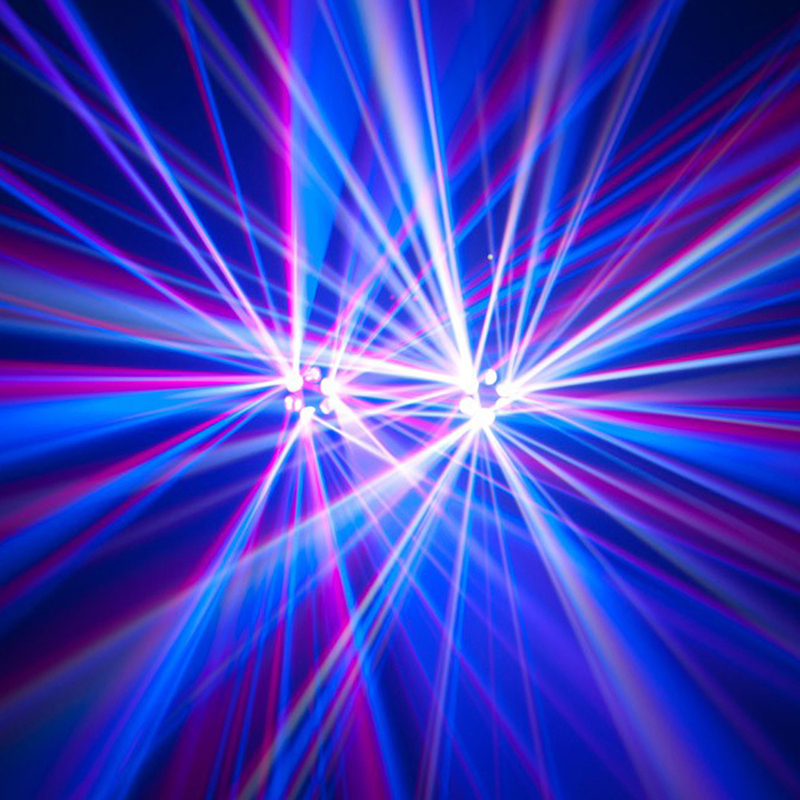 ADJ's Quad Phase HP is designed to fill a room and dazzle a crowd with dozens of razor sharp beams of light. 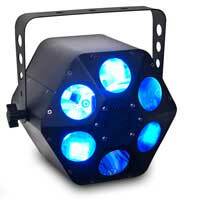 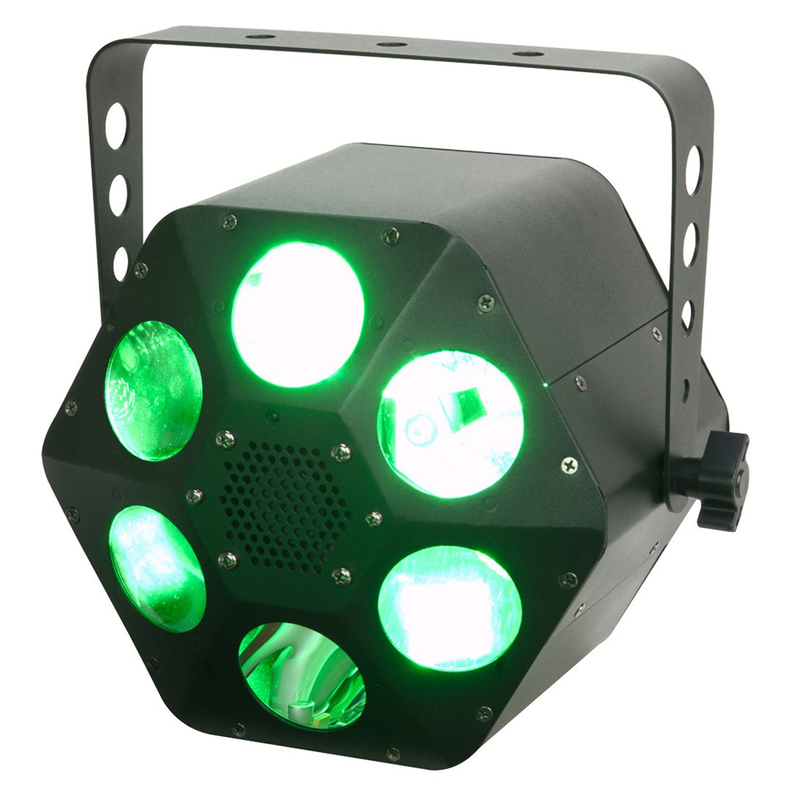 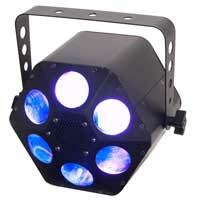 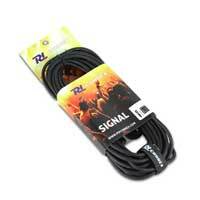 This technologically advanced moonflower features a high-powered, 32-Watt 4-in-1 quad Colour LED source (RGBW). 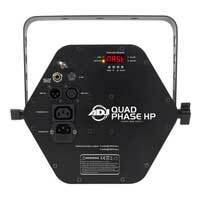 Offering twice as many majestic Colours as a TRI LED, the Quad Phase HP produces up to fifteen Colours in all. 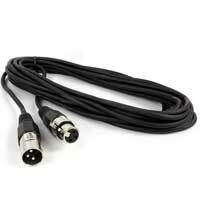 The Quad Phase HP also offers all the latest features sought after in special effects lights such as: DMX-512 for programming or linking capabilities, exciting built-in sound active programs, no duty cycle (run all night), a long life, high output LED source (30,000 hours), 4-button DMX display on rear (for easier programmability), IEC power daisy-chaining, and a 1.8-degree stepper motor for smooth movement.